There are essentially four types or categories of cameras on the market now that consumers have easy access too. Some could argue that film cameras still have a role to play, too, but we will make the argument that these four categories still hold true, with each category coming in a digital or film version. But truthfully, we won’t talk much about film here, as it’s quickly going the way of the dodo. To summarize, these four categories are as follows: point and shoot, mirrorless (sometimes referred to as 4/3s), crop frame DSLR, and full frame DSLR. For the sake of organization we’ll break each one down into its own section and discuss the ins and outs of them here. Photography was truly revolutionized by this category of camera, as they are accessible, easy to use, offered in a range of affordable options, and some even come in waterproof or shockproof housings. It truly is amazing what you can get with these workhorses of the camera world. 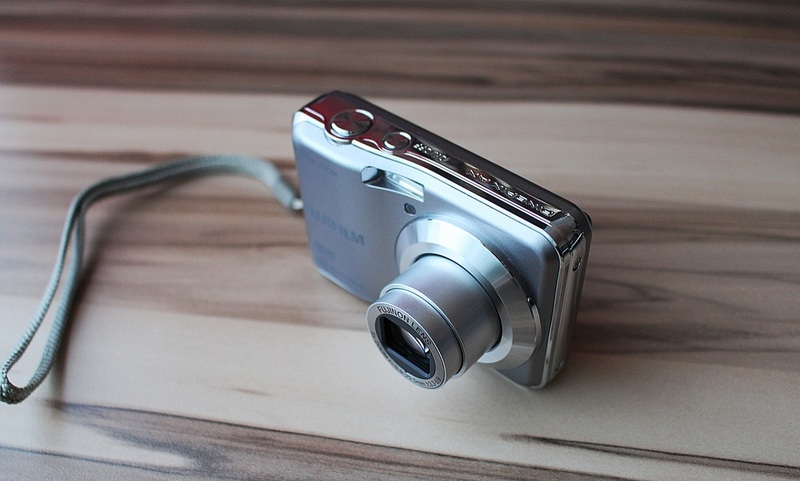 Members to the point and shoot club range from your basic smartphone camera all the way to some pretty fancy versions that share many capabilities of high end DSLRs. Some have incredible zoom ranges that go way beyond what you could get with a camera that lets you change lenses. They are flexible and extremely versatile. While it’s difficult to call out “downsides” to these cameras, as they offer so much to a huge audience of photographers, when compared to higher end categories of cameras they often lack quality. Most often this is quality of the resulting image, but it might also be build quality (ie, made of cheaper materials, less durable, etc.). The fundamental reason for this lack of quality has to do with the technology and parts that go into them. For one, they have a smaller sensor. This critical part to any camera is the eye of the camera – it’s what processes and creates the image you see. Having a smaller sensor means they can’t get the same detail, clarity, and overall quality of a camera with a larger sensor. The second component of their tech is that they generally have a more basic computer inside of them. Their ability to process colors, judge light and dark, achieve perfect focus quickly, etc., is a bit hampered by less computing power. In the end, point and shoots are a brilliant category of camera, both for the beginner and seasoned professional alike. What they may lack in high end tech, they make up for in ease of use, flexibility, and adaptability. Many pro photographers will actually carry a small point and shoot with them, along side their big fancy equipment, because of how easy it is to whip out of their pocket and grab that candid shot, or go from shooting a far away city scape one second to a close up of a flower the next. As with nearly all things, you get what you pay for, and given the reasonable price tags of point and shoot cameras, they come in at an incredibly good value. Sweeping the camera world by storm, these mighty little powerhouses are solving many long time issues. They have larger sensors and much better computing power than their point and shoot cousins, but don’t carry the extra weight around with them like their big brother DSLRs. In fact, many mirrorless cameras are of similar size and weight to the larger point and shoots, making them a wonderful travel camera. In addition, they give you the ability to change lenses, which further increases optical quality. Today, many photographers are comparing them to higher end DSLRs for image quality. This is a big deal. When you can get the quality of a DSLR at half the weight and a smaller price tag, why wouldn’t you? Well many people are making the switch. However, there are still some issues to be aware of. 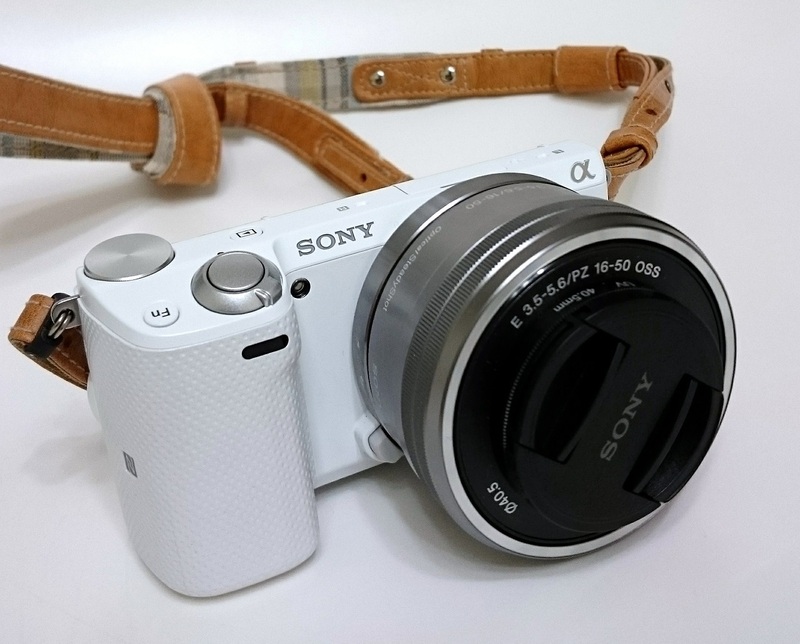 The first issue is that being mirrorless, they do not feature an optical viewfinder standard. If you are upgrading your point and shoot to one of these, you probably never had an optical view finder in the first place, so this is a moot point. However, for those that are considering going from a DSLR to a mirrorless, you will have to adapt to the fact that you will be looking through your eye piece at a digital screen, rather than a glass “periscope”. 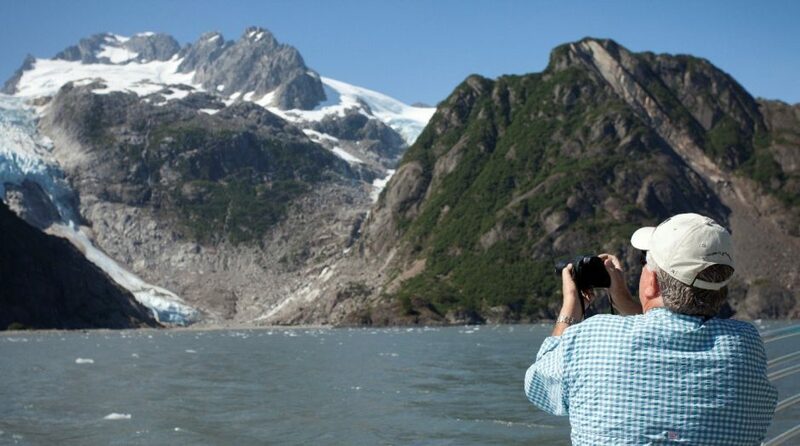 For many photo ops, this shouldn’t be a problem. However, for wildlife photography, it can be an added difficulty to focus on that lion hidden amidst thick brush, or a small bird high in the rain forest, through a digital viewfinder. Again, many people will not have an issue with this, but it’s something to be aware of. At this time this was published, several companies offer optical viewfinder accessories to their mirrorless camera models. The second issue, which is becoming a non-issue, is focusing speed. Again, when compared to a point and shoot, the speed will surprise you because it’s very fast. However, some people complain that when compared to their high end DSLR, the focusing speed is slow. This author has experimented with this on newer models of mirrorless cameras, and their focusing speed was impressive – appears to be a resolved issue. The upsides to these high tech beauties are significant. As already mentioned above, they are a massive quality upgrade from a point and shoot, packing the punch of a DSLR in a small package. They are lightweight, more portable than a DSLR, and their equipment is generally priced a bit lower, too. In addition, they come in both crop frame and full frame versions, which has resulted in many photographers making the switch. The intro SLR camera (Single Lens Reflex) has been setting the bar for many years, originating in the film days and transgressing nicely into the digital age. Companies like Canon and Nikon have poured huge amounts of money for R&D into these and the quality shows. Now, new sensors, processors, and general tech are making their ways into smaller and lighter cameras that are getting more affordable all the time. Being the model of what most modern photography is based on, having one of these in your bag means the sky is your limit. You can shoot on extreme time lapses, very high apertures, add on a myriad of accessories and off camera flashes, and put on highly coveted big zoom lenses to get incredible wildlife shots at astonishingly good quality and resolution. These cameras are probably responsible for putting many professional photographers out of business due to their relative affordability and superb quality in the hands of dedicated hobbyists and amateurs. In other words, these cameras are great. However, they now have to compete with the smaller, lighter, and potentially more affordable mirrorless cameras described in the above section. As a result, companies that are firmly vested in the DSLR world are doing everything they can to get these bodies lighter, better quality, and generally more attractive. While the verdict is still out on whether a crop frame DSLR or a mirrorless camera is the best body with which to upgrade from a point and shoot, crop frame DSLRs are still a standard as one’s “first good camera”. So what does a “crop frame” mean? Basically, when lenses were first rated and named, they did so based on a “full frame” camera. As a result, a 300mm lens is a true 300mm on a full frame camera. However, because crop frame DSLRs have smaller sensors than the big full frame DSLRs, the lens has to be mounted a little bit differently, effectively giving it a multiplier effect. Without going into too much sciency detail, this means that for most crop frame cameras, you are essentially magnifying your focal length. Thus, for a crop frame with 1.6X effect, your 300mm would actually be a 480mm – allowing you to get much more zoomed into the animal. This is great, right? Mostly it is. However, this also means that on your wide angle end of the spectrum, it’s also multiplied. So a 24mm would actually be closer to a 38mm – becoming less wide and less ideal for landscape shots and the like. 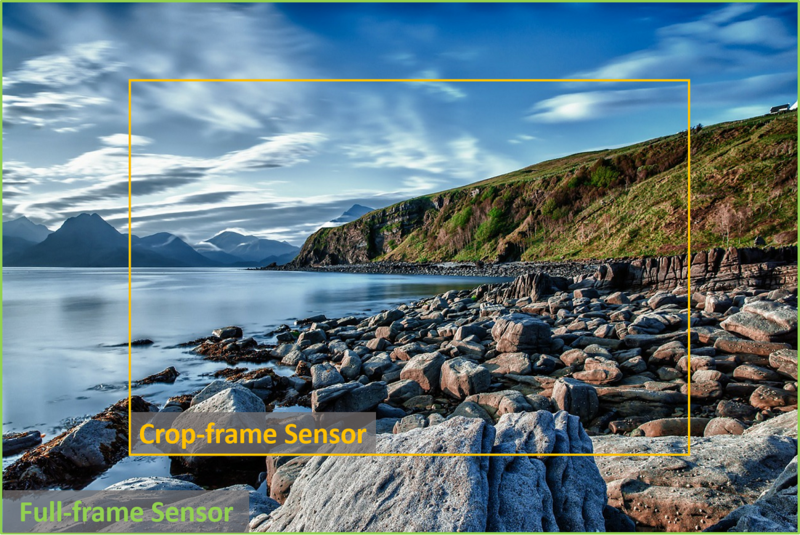 Fortunately, the makers of crop frame cameras have specialty lenses dedicated to crop frame. For Canon, the lens is deemed and “EF-S”, adding the “S” and Nikon affixes the “DX” label onto their crop frame lenses. The result, is that they can only be used on crop frame sensors, but they do get extremely wide. For example, you can pick up a 10-22mm for a crop frame, which is effectively a 16-35mm on a full frame. Thus, very wide. However, because of the making of the lens, that same 10-22mm cannot fit on a full frame camera. The reciprocal is entirely feasible, though, in that you can always put a full frame lens on a crop frame body. It just incurs the multiplier effect. This isn’t meant to overwhelm you, but this is something to keep in mind when deciding on cameras. If you get a crop frame DSLR and start collecting specialized lenses, you may have to reinvest significantly should you ever wish to upgrade to a full frame camera. These are the big daddies of the camera world. Both literally and metaphorically. They are without choice much bigger than a point and shoot, and are solid hunks of camera. However, they are also the top tier in the camera world, too, producing the largest, sharpest, and most data rich images out there. They have bigger sensors and come with high brow tech inside their internal computers. Thus, you are going to get huge megapixels out of them. The newest models at the time of this publishing are 50 megapixels plus. But with all this comes certain costs. The first is the price tag – they are not cheap, with most models starting in the couple thousand dollar range (note: both Canon and Nikon now have a sub-$2,000 full frame). The second thing is what we already mentioned, is that they are usually bigger and heavier than other cameras out there. Since they are usually fabricated with a metal body, this heft is also a benefit as they are generally very durable. However, the biggest cost is that you lose your multiplying factor for your big lenses. That is, the 300mm that could be a 480mm on your crop frame just got shot back down to earth at 300mm. If you are mostly into landscape or cultural photography this isn’t a big deal, but for wildlife photographers, it is significant. You now either have to carry a bigger lens, a more expensive lens, settle for a lens with a bigger minimum aperture, or all of the above. If you’re ready to make the splurge on a full frame DSLR, be ready to also make a splurge on a new zoom lens. The upsides to full-frame cameras are monumental if you prioritize image quality. When you take your first photos with a full-frame, you’ll likely gasp at how crisp the resulting photos are and how much you can crop in on them and still retain top quality. It’s difficult to say whether years of photography will make you a perfectionist, or it’s only the perfectionist that is with photography for years, but those that demand the best will reach for a full frame every time. Another major benefit is the ability to increase your ISO to rather high levels. While ISO 1600, 2000, 3200 and above tend to get a bit “grainy” with anything else, full-frame cameras tend to retain surprisingly good quality at these higher levels. Ideal for indoor photography, or shooting wildlife at dawn or dusk, the ability to whimsically shoot at ISO 2000 when things are dim, but still get a good shot, is life-changing. These quick summaries of various camera bodies is in no way exhaustive of their various merits nor shortcomings. As new tech comes out, the line between each will shift and sway and be drawn again many times over. However, for someone that is new to photography or thinking about upgrading or just simply is curious about the options out there, we hope this will be of help.